Everyday, over 32,000 vehicles travel through the Eisenhower Tunnel, the highest vehicular tunnel in the United States, and their riders are probably unaware of the marvel of modern construction that they are passing through. The Eisenhower Tunnel is the highest vehicular tunnel in the United States at 11,158 ft. 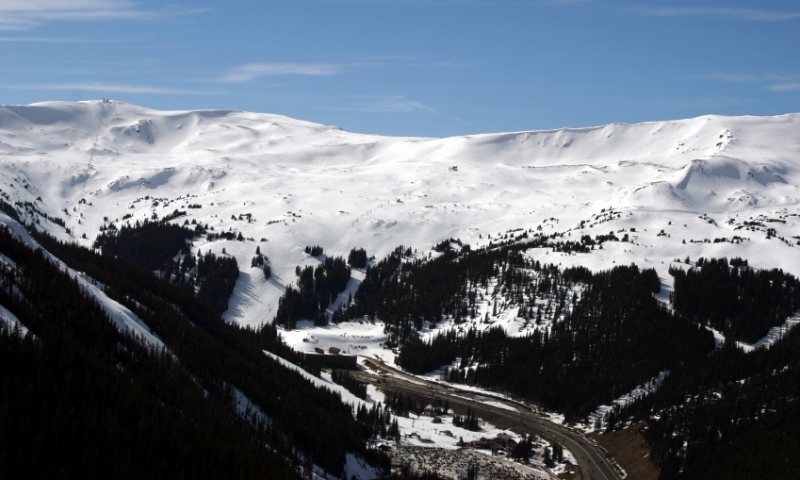 Approximately 60 miles west of Denver, the tunnel saves drivers the 9.1 miles needed to head over Loveland Pass. The two tunnels took over 11 years to complete and cost approximately $258 million. Passing under the Continental Divide at an average of 11,112 ft., the Eisenhower Tunnel is a twin bore tunnel allowing traffic to pass under the mountain to their final destination. Although projected to be completed in three years, the first tunnel was completed five years after commencement in 1973. The second tunnel was completed in 1979, finally allowing 4 lanes of traffic to access the Rocky Mountains. Construction of this project was an immensely difficult undertaking, trusted to a joint venture called Straight Creek Constructors. They were tasked with removing approximately one million cubic yards of material from each bore, not an easy project above 11,000 ft. altitude, where the massive machines trucked up for the job labored to find enough oxygen. Eisenhower Tunnel is approximately 60 miles west of Denver on I-70. Due to efforts of the full-time crew, the tunnel is open 24 hours a day, 365 days a year. Prior to the construction of the tunnel, the Loveland Pass was the route around the mountain and over the Continental Divide. Although difficult, the Colorado DOT make every effort to keep the pass open year-round, so take advantage of the opportunity to drive the long way around and appreciate the beautiful views.